Royal Capital Granshelt is the second town you have access to. It is a lot bigger than Town of Mitra and there is plenty to do in this city. 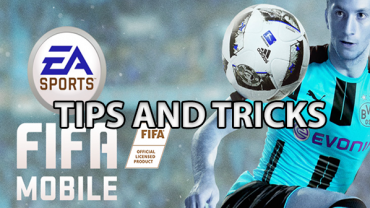 If you don’t have access to a guide, it can take a while to finish all the quests and also get all the goodies here. 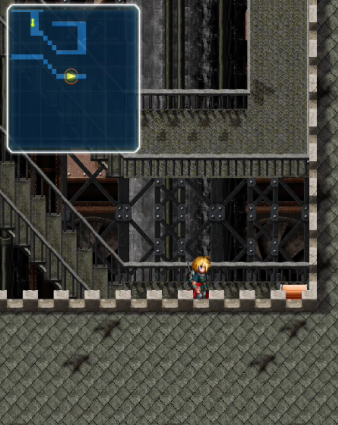 Silver Chest  – Head to the bottom left of the city and enter the room where you meet the 2 kids who lost their treasure. Once the cut scene is over, head into the room above them. You need a magic key to open this. 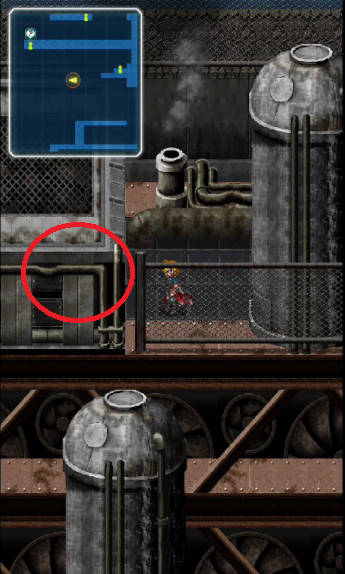 Location 1 – Right behind the silver chest, you head into the wall and you will pick up Earth Key #22, which is a recipe for Shuriken. 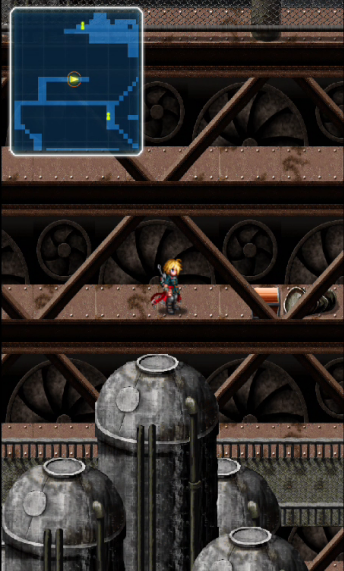 Location 2 – Exit the room from location 1 and head down and to the left pass a hidden path in a metal wall. It can be missed if you aren’t paying attention. You get a smelling salts for your effort. Location 3 – The golden needle is easily missed if you are just casually walking by. 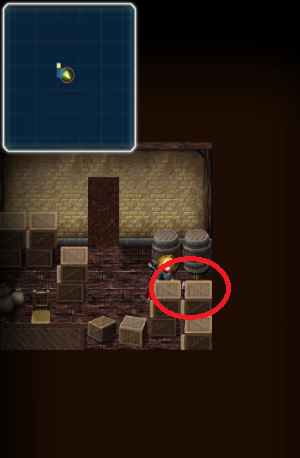 Head to the bottom left corner of the map and look at the wooden wall. Right above it, you will find the golden needle treasure chest. Location 4 – This is in the inn. 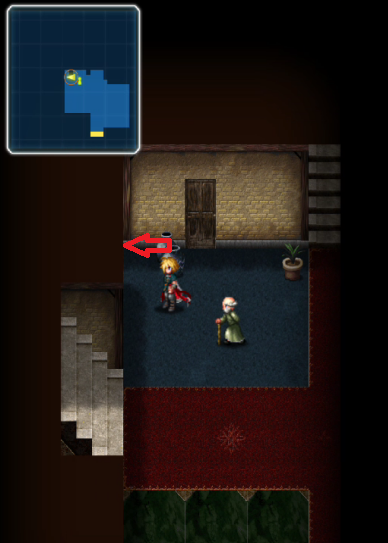 Head to the left side of the map and enter the inn. Head up stairs on the left. 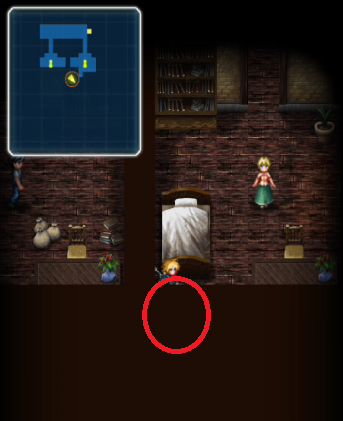 The Hi-Potion is hidden right below the bed where the female customer is. 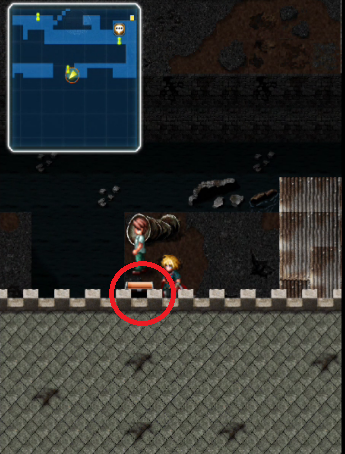 Location 5 – This one is hidden right above the top left side of the inn. Go above the girl at the lamp post and check the wall to your right. Walk inside to get the Gale Ring. Location 6 – Head up the stairs from location 5 and enter the little room to your right. 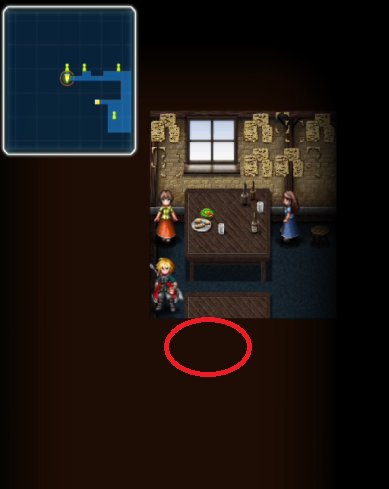 Go to the top left corner of the room and check the table right below the 2 women. You will get a potion. Location 7 – From the room, head south and exit the room. Now, climb down the stairs and go to your left. 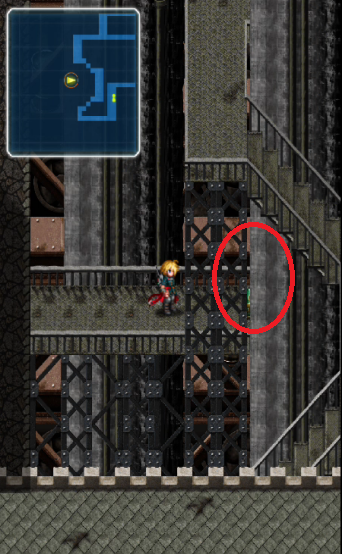 Now check the left area where you see the square wall. You will find the recipe for a bronze shield. 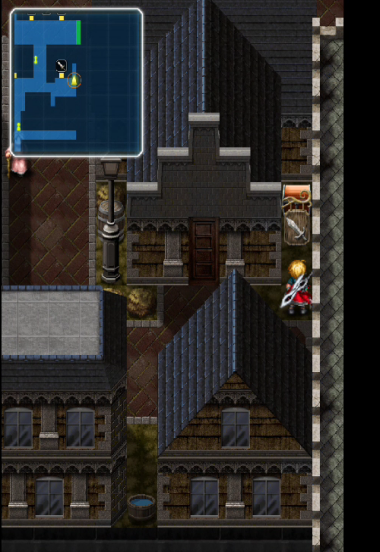 Location 8 – Head into the castle at the top left corner of the map. Head over to the ride side of the castle and check the area behind the man in a white shirt. You will get a Star Quartz. Location 9 – Head to the north side of the map from the entrance of Royal Capital Grandshelt. Head right once you hit a dead end. 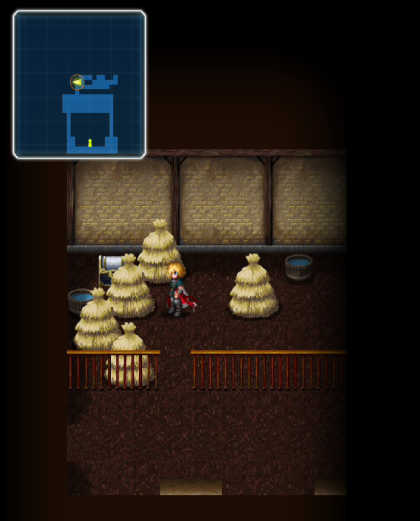 You will find the Echo Herbs and also the memento pendant, which is the shiny object. Location 10 – Head to the top right side of the city. 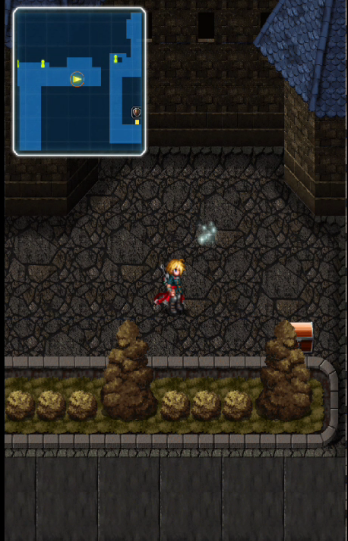 Enter the place which is north of the armor shop. 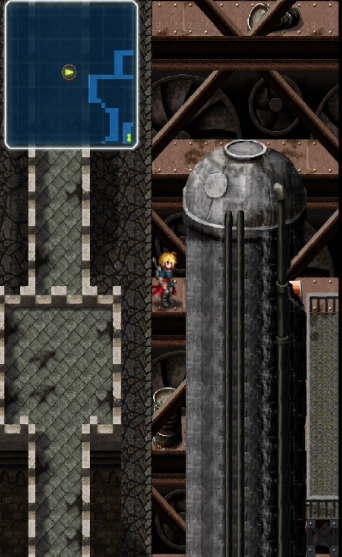 Head to the top left corner of the room and inspect the hidden area by the vase where the old man is. You will get a white cape. 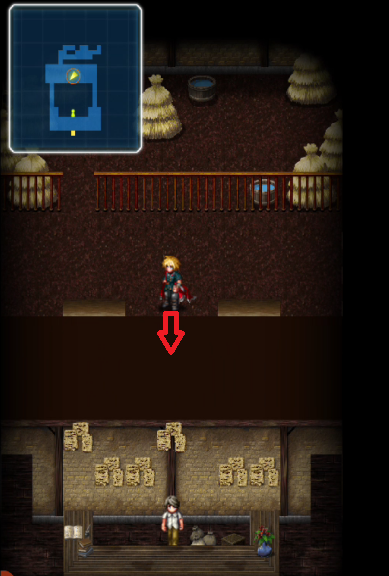 Location 11 – Right behind the armor shop, there is a hidden path where you can head left to find an open path. 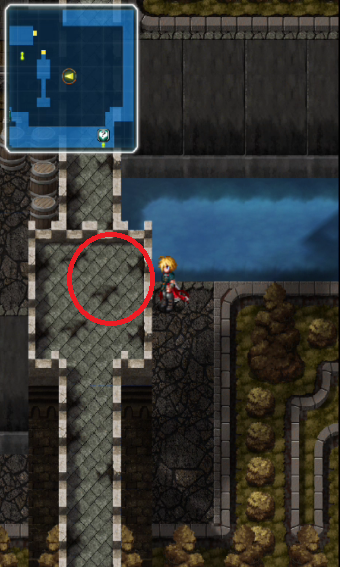 Move your cursor up to move your Rain upwards to find the secret location to find the Kotetsu, a katana that gives +25 attack. 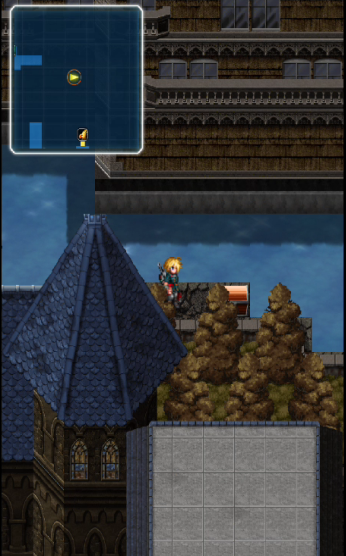 Silver Chest  – Enter the armor shop on the top right of the city. 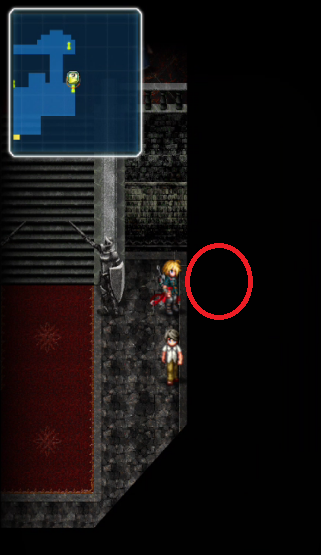 Its on the right side. You get a Barblizzard. 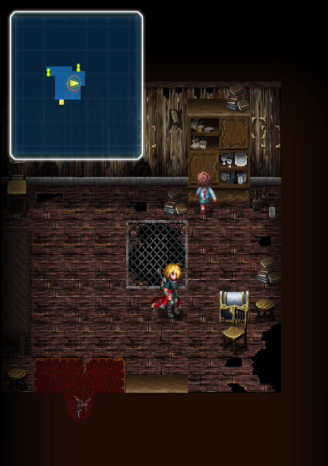 Location 12 – Enter the Chocobo shop and go around the shop keeper to find the hidden room. Enter the room and check the bottom right side for an ether. 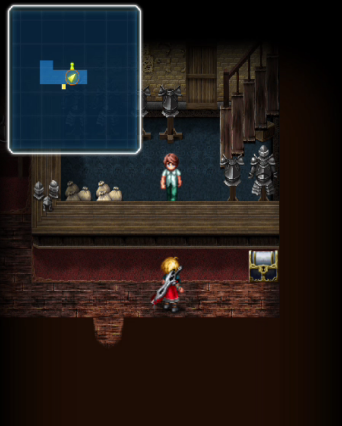 Silver Chest  – In the Chocobo shop, head to the top left side of the map to find the silver chest that contains a recipe for blind. 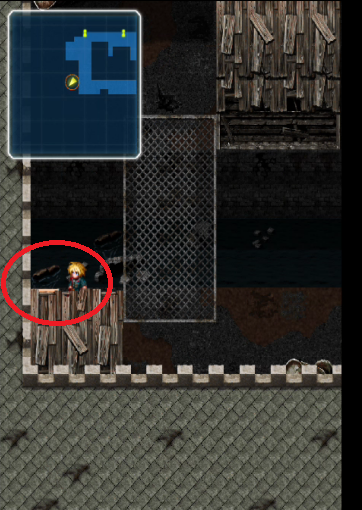 Location 13 – head to the weapon shop on the right side of the capital and it is hidden behind the shop board. This chest contains a Fish Scale. 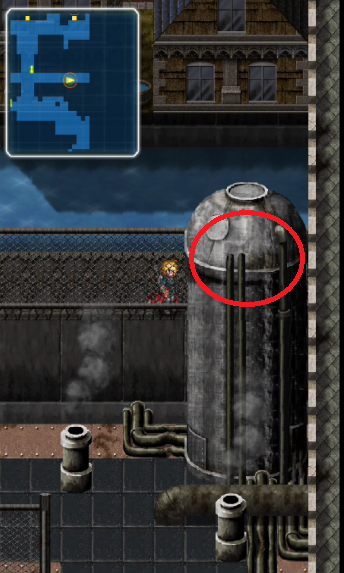 Location 14 – Check behind the grey building south of the weapon shop. to find the Eye Drops. Location 15 – Head to the left from location 14 and go past the guy in a white shirt. 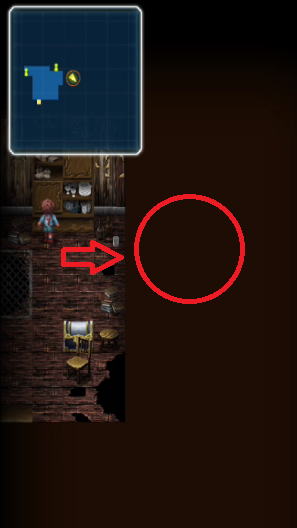 Inspect the circled red area to find a Phoenix Down. 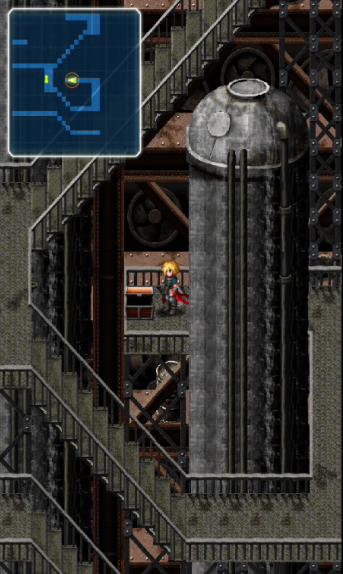 Location 16 – Go to the bottom right of the map and go down the stairs. Walk behind the grey building to get a leather plate. 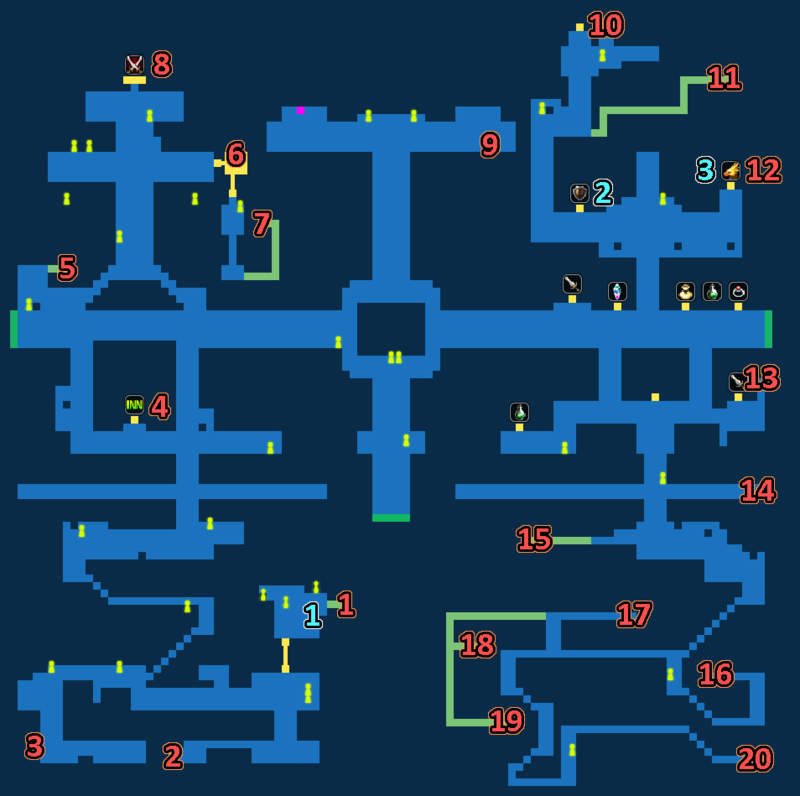 Location 17 – Get an antidote by heading to the left side of location 16. Location 18 – This can be tricky. 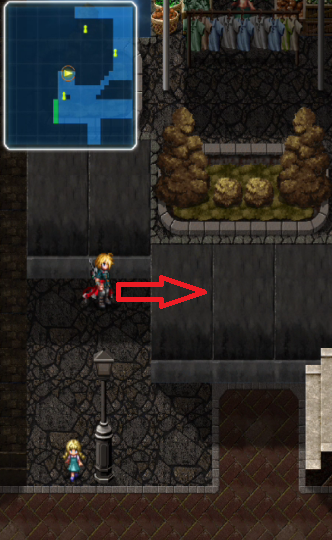 You need to walk on the wire mesh that gets you to location 17 and get to the left side of the sidewalk past the hidden path blocked by the grey building. Then walk all the way left, down and then right to get the chest that contains the Unicorn Horn. Location 19 – From location 18, head left and walk down to see another path to your right. Head right all the way, inspect the hidden green thing for a Star Quartz. Location 20 – Head all the way(long walk) to the bottom right corner for the Kenpogi, a cloth armor that gives +3 attack and +8 defense.